The casino was founded in 2012 and is partly a member of the Offside Bet Group. The casino has been licensed under the jurisdiction of Curacao. The casino is protected by SSL encryption so your privacy is guaranteed and has also been vetted and proven to be fair by private inspectors. The casino is more of a sports betting site but has the casino room. 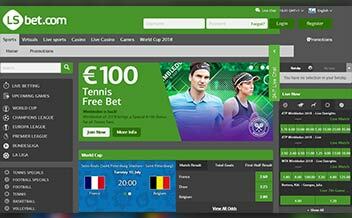 The casino has a sporty theme as the home page is odds provided for placing bets for football matches. To access the casino room all you have to do is select the casino option and you’ll automatically be directed to it. The site might have so much going on but it’s clearly detailed for you to navigate easily. Some of the games offered in the casino are slots games, table games, and video poker games. LSbet casino has a welcoming bonus of 100% which is equal to €300 to play with. The minimum amount that can be deposited in order to activate this bonus is €20. If there is any bonus in the account the player has 14 days to use it on wagering. This is like a VIP program but offered to everyone. The casino gives its players elite loyalty free points. Each time you play any game you get additional points in return so the more you win the more you come closer to winning €50 in cash. 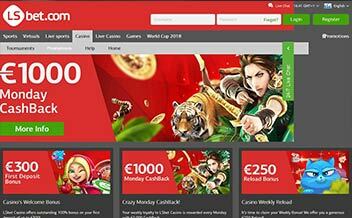 Every Monday players get a €1000 cashback for all losses they made. 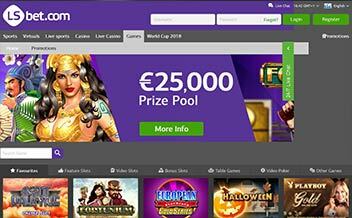 The casino offers a €250 bonus to players making their first deposit on that week. The offer is valid for both existing and new players. The casino has amazing slot games. Some of the slot games are Emoji, Fruit Spin, Hotline, Wild Wild Wild West, Flowers, Glow, Dracula, and Thrill Spin among many others. The casino has fun table games for you; some of the games are Blackjack, Red Dog, Caribbean Stud, Baccarat, Punto Banco, Oasis Poker, Pontoon, Roulette, and Texas Hold’em. The casino offers video poker games too; some of the games are All American, Jacks or Better, Joker Wild, Jacks or Better, and Deuces Wild. 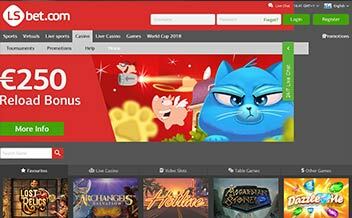 The casino’s game suppliers are Microgaming, Evolution gaming, and NetEnt. Some of the restricted countries are United States, France, United Kingdom, French Guinea, Germany, and French Polynesia among many others. Forms of withdrawal and deposit are Bank Wire Transfer, Skrill, Neteller, EcoPayz, and Visa. The currencies used in this casino are USD, EUR, GBP, TRY, RUB, SEK, and TRY. The casino is available on major browsers such as Opera Mini, Mozilla, and Chrome. The casino is compatible with mobile phones software that is IOS and Android. The casino is instant-play so there is no need to download it as you can play online. The casino functions smoothly on both the desktop and phone devices. It has a variety of slot games. VIP privileges are available to everyone. It operates three rooms in one platform. It has reputable game suppliers. It has some restricted countries. The casino has so much going on, from sports betting to live dealer games to casino games, but they still provide good services to its casino clients. The casino has had no complaints so you can be assured of a good gaming experience, join today and enjoy being treated like a VIP.